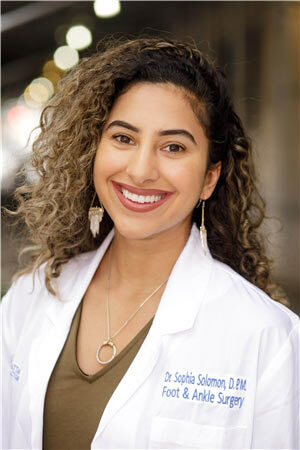 Dr. Sophia Solomon is a board certified, renowned NYC podiatrist and foot surgeon in Manhattan with a focus on foot and ankle deformities and sports related injuries. As the best rated podiatrist Dr. Solomon has received specialized training in arthroscopic joint surgery from the American College of Foot and Ankle Surgeons and advanced training in internal fixation for reconstructive surgery/trauma of the foot and ankle. Dr. Solomon is skilled in bunion and hammertoe corrective surgery placing importance on both functionality and an aesthetically pleasing result with minimal to no visible scarring. Dr. Solomon provides highly personalized and comprehensive podiatry care. Her philosophy regarding the doctor/patient relationship is based on trust and has earned her one of the most respected reputations in NYC. Dr.Solomon and Manhattan Foot Specialists Team (located on Manhattan’s Upper East Side and in Midtown Manhattan NYC) provide unique, unparalleled expertise and state of the art technology in all aspects of Podiatry. We look forward to meeting you! 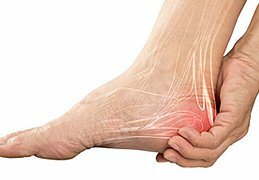 Here are brief descriptions of the most common foot care procedures we perform in our New York podiatry clinic. Explore the topic areas, read the brief descriptions of the procedures, and click through to learn more specific information about preparing for the procedure, and what you should expect after the procedure. 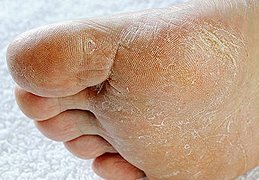 Our Midtown NYC podiatrists are available to discuss these with you in more detail. Because your feet are so vital to your quality of life, you must take care of them. Your fascia is a connective tissue that runs along the bottom of your foot. There are actually two different types of corns: soft and hard. The goal of this surgery is to address the pain that hasn’t improved through nonsurgical methods. 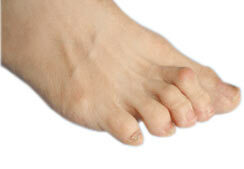 When you’re suffering with a neuroma, you feel pain on the bottom of your foot, under your third and fourth toes. Shoe orthotics are custom-designed foot supports. Each one is made specifically for you to fit one particular foot. Why Choose Manhattan Foot Specialists? Voted Top Doctors In Nyc. One of my best experiences with podiatrist Dr. Solomon in the new york city. On time, friendly, no rush, really good listening where I was at, her explanations and diagnosis were on point! definitely made my condition better. Dr. Solomon always impresses me with her can-do attitude. She’s all about practical treatment methods that you are comfortable with. Having a podiatrist in NYC that understands the mentality of runners, and their unending desire be in the Park and not sat at home is priceless. 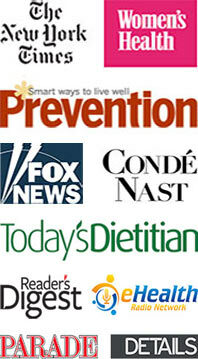 I’ve given dozens of referrals for Dr. Solomon to my coaching clients and team mates. I wouldn’t hesitate to give hundreds more. Dr. Solomon was very personable and easy to talk to. She listened to my problem and asked questions to get a full picture of my problem. She suggested that I might need to do some stretching exercises since she noticed that my calves were tight. She did not rush to have me purchase expensive insoles but suggested something as stretching might be all I need. She also examined my shoes to gauge the wear and tear on them and asked to see photos of my other shoes. She was very thorough in her assessment of my foot pain. Dr. Solomon goes above and beyond the call of duty. In addition to normal procedures of foot assessment (in-patient dry skin care / callus clean up / and in grown nail repair) that were all performed thoroughly and with sensitivity, she taught me physical therapy stretches that affect the whole body down to the feet as well as a few pointers on how certain creams can be strategically used for both feet and other parts of the body. I would highly recommend podiatrist Dr. Solomon. At Manhattan Foot Specialists, you’ll find individualized and compassionate Podiatry care. In our facility we are using latest medical developments available in the United States. Get the pediatric care you need in the safe, reassuring hands of the top rated New York foot care expert. Trust Dr. Solomon to treat you with dignity while she diagnoses your condition. Get the care you need in the safe, reassuring hands of an expert. 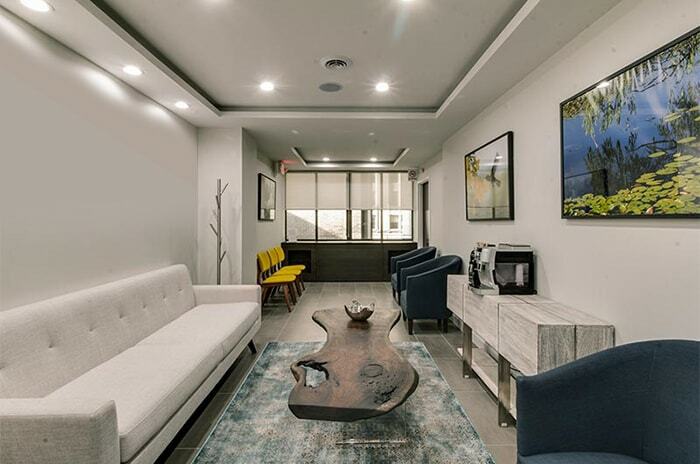 Dr. Sophia Solomon of Manhattan Foot Specialists in Midtown NYC offers best in class treatments to patients from around the New York City area, NYC tourists, and from all over the United States and the world. If you are a NYC tourist, please contact our Upper East Side or Midtown NYC podiatry locations. 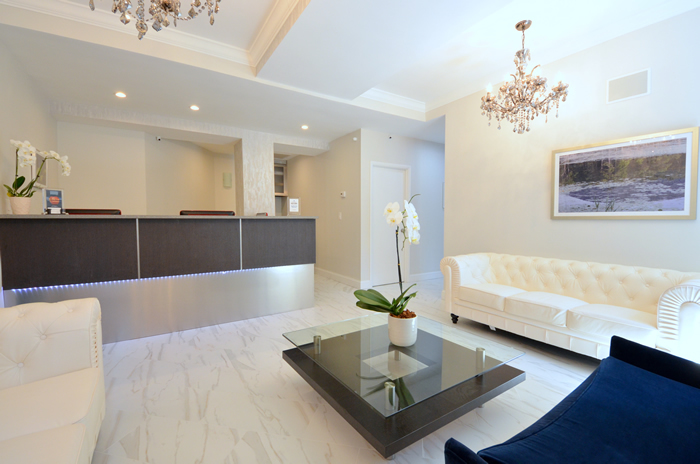 Conveniently located in Midtown NYC, in the heart of New York City, the Manhattan Foot Specialists centers boast state-of-the-art, certified and approved Podiatry facilities. Come see the office and meet Dr. Sophia Solomon. Experience, skill, knowledge and compassion: you get it all because you need it all. Make your appointment today.